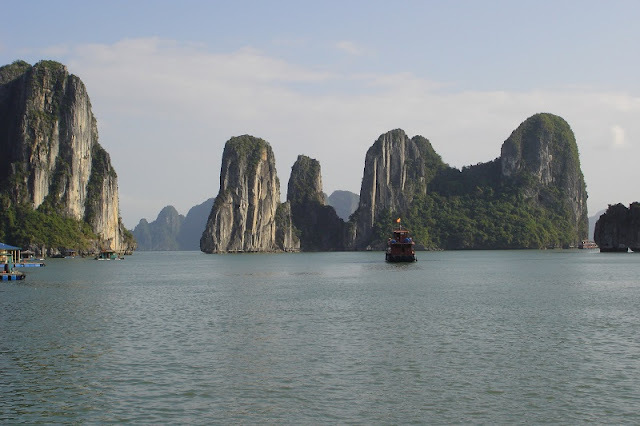 Home > Halong Bay Travel Guide > Why Visiting Halong Bay Is A Once In A Lifetime Opportunity? Why Visiting Halong Bay Is A Once In A Lifetime Opportunity? During my travels I have seen uncountable sights that still manage to make my skin shiver. I have seen life under water in the Whitsundays and I have watched the sun rise over Mount Batur. But none were as brilliant as sailing through Halong Bay, one of the Seven Wonders Of Nature. 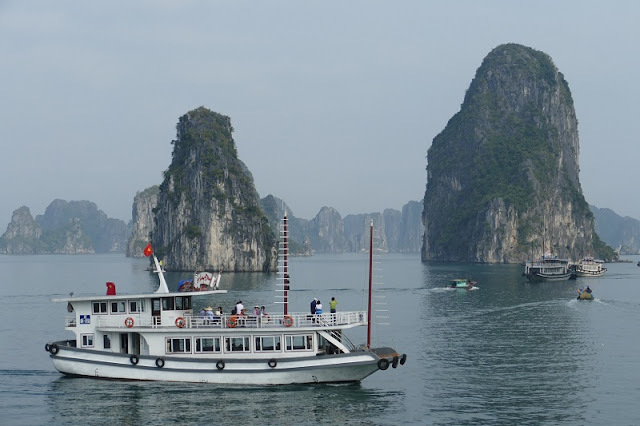 There are different travel agencies where you can book your trips, but I decided to play safe and opted for the slightly more expensive trip that Vietnam Typical Tours provided; Halong Bay Cruise. For a stellar experience on the water, look no further than wooden boats called junks which are abundant in Ha long Bay and come in different price ranges. It is probably the best means of travelling in the region. A Junk voyage sailing through the wonders of this Bay could range from a few hours to spending a day or a night or even two nights on board but the experience is truly outclass and wonderful. Halong Bay is UNESCO World Heritage Site, a bay where thousands of limestone karsts scatter across the sea. Our Vietnamese guide explained how Halong Bay came to be and enlightened us with myths about sleeping dragons and wars from thousands of years before. As the limestone isles come closer in view and suddenly surround us I try my best not to blink. Apart from a few small fishermen’s boats, there isn’t any other boat in sight. The solitude I find here is welcoming after the loud streets of Hanoi. Halong Bay is one of the most amazing places you would go to on planet earth because it's all natural and there is nothing additive or artificial involved with it. 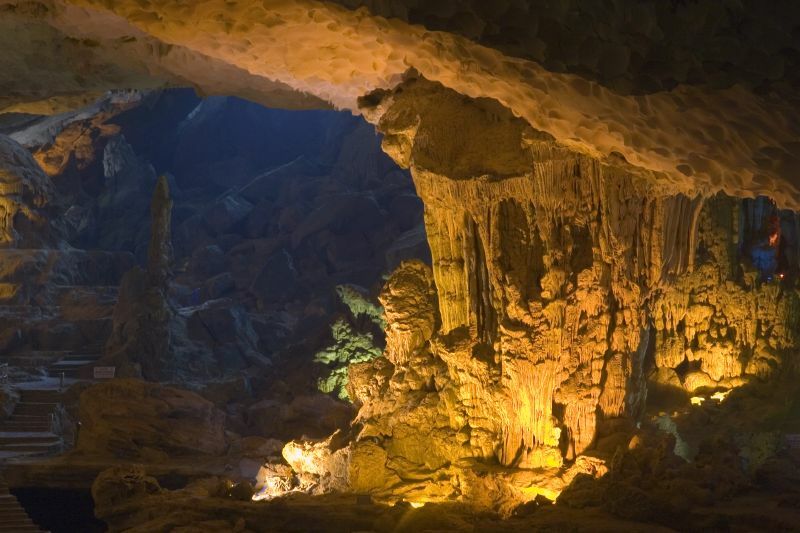 The stunning karst outcroppings in Ha Long are made of 3000 years of chemical reactions between limestone and dripping water. If the scenic rock scene takes such a long time to develop, it deserves your visit. Beware that you will witness the amazingly changing, dynamic landscape. If you insist on going local, nothing can beat a kayak to a fishing village to see locals going about their daily business, where a casual, friendly atmosphere pervades. Having the opportunity to peek and participate in their world is interesting, as you can experience catching some treats for yourself or making fishing nets with the locals. 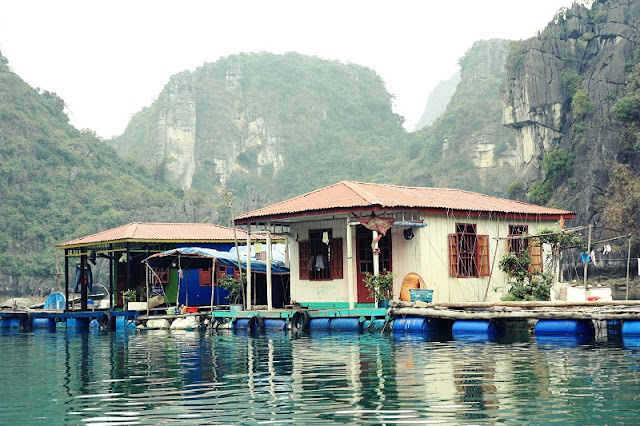 Floating Fishing Villages are among the most special attractions of Halong Bay. Don’t hesitate to make friends and explore local culture while you’re here. You can find plenty of fresh seafood caught in the morning and served in your dinner at very affordable price. 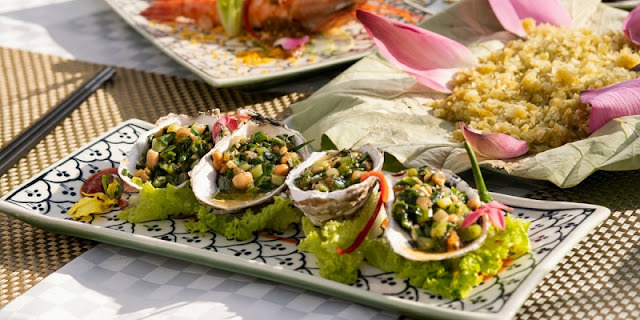 The culinary scene in Ha Long Bay is often overshadowed by the highly popular splendid island, and it deserves more than that, simply because the food is really excellent. You’ll find it hard to resist the plump shrimp, the delicate blush of an octopus tentacle, the meatiness of the rich crab meat served in a really light delicate broth made of clam nectar and garlic, and garnished with tiny slices of juicy limes. Be ready for superb experiences with the best cruise in Halong Bay ! !